Finding the right Interior Designer for your project can be a difficult task. Based on the Isle of Wight; where I grew up my designs reflect the relaxed lifestyle taking inspiration from coast and country. With a background in architecture; my designs work with the buildings in which they are housed. 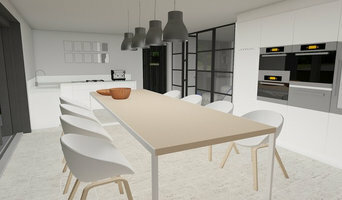 Working with a clients brief from initial design right through to project managing until completion. 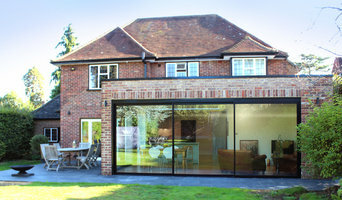 www.pcarch.co.uk PCA is a Hampshire based architectural studio founded by Paul Cashin in 2012. After a period of working for award winning architects on the south coast, Paul formed the practice to focus on projects that concern the connections between place, narrative, materiality, and client requirement. The practice is centred on design as a process, which it holds key to the success of rigorous and considered work. PCA undertakes work for private, commercial and public sector clients, with current projects in the UK, France, and the USA. Paul is an RIBA Chartered Architect registered with the ARB. 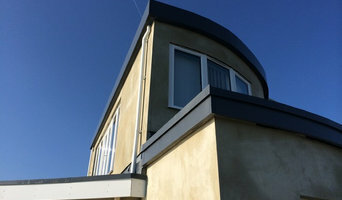 Our aim is to provide an affordable professional service, which meets your needs with creative & practical solutions using the most efficient and advance materials and techniques to deliver a result that meets all your requirements for both extensions and new build. We consider the environment and surrounding area to create the best design to suit your individual visions and ideas; to not only expand or enhance the area you have but to add value to your property for the future. The service we provide begins with a free consultation, where we aim to give you an overview of the process and procedures involved with both the planning & technical aspects specific to your project. 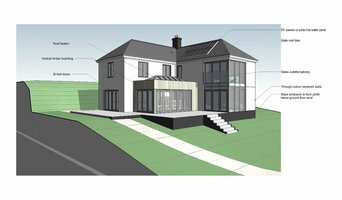 Once a design has met your approval the application will be submitted for planning permission and building regulation approval. We operate using the latest IT including AutoCAD LT software package. Using Broadband ADSL internet we can offer fast and reliable communication. We can also recommend consultants for all other aspects of your project. Cedric Mitchell Dipl Arch., R.I.B.A., Ordre des Architectes was educated at Harrow School and studied Architecture in Bath and London. He offers 30 years of experience in residential and commercial design in both the UK and France. Past clients have included the National Trust, the Field Studies Council, Outward Bound, Chailey Heritage and Macintyre Homes as well as numerous private clients. He has been the recipient of two Prince of Wales awards, a Civic Trust commendation and a project shortlisted for an RIBA award. He holds a dual British and French nationality and is fluent in both English and French. He is a member of the Ordre des Architectes and is fully qualified to practice in France. He has been for many years a committee member of the Franco British Union of Architects and is also a member of the Association of Self Build Architects and the Green Register. Why Cedric Mitchell? I provide a personal service. I am very much “a people person.”, I welcome discussions and enjoy every project I embark on, I also understand that your project is unique. I am an individual. You won’t be employing the services of a large company, you will be employing me to help you and give you the building design you want. I am able to work on any size project, in any location (within reason) I can undertake architectural projects which involve new build, alteration or extension projects or a combination. I have expertise in disability design, listed buildings and conservation work. I am English, but my French background means I speak fluent French and can help you in discussions with builders and planning authorities in France. PUG is an architecture, art and design five-piece. 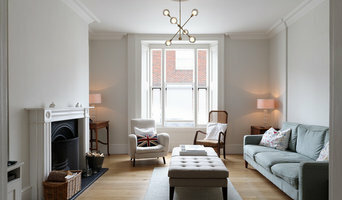 PUG enjoys working on the fringes of architectural culture, intersecting with other disciplines and exploring alternative forms of practice PUG offers a full range of architecture and design services. We also create artwork on a commission basis. Don't hesitate to contact us to discuss your project. PUG is influenced by modern day culture of all cloths and seeks to create projects that are unexpected, thought provoking and accessible to all, with the aim of investigating, and expanding, the scope of architectural responsibility. PUG crafts solutions to design problems through a highly creative, bespoke process. We aim to surprise our clients by exceeding their expectations and providing solutions that surpass their brief. We work with traditional and experimental media to create work that is not only functional but also beautiful. We experiment with the extremely familiar to fashion the perfectly peculiar. This is a family business with all work overseen by Mike who is a time served carpenter and has over 40 years experience in the carpentry & building industry. Mike started in 1969 and has worked and managed contracts from minor to major refurbishments and extensions to office blocks, Gary who is a time served joiner started in 1995 as a joiner and joined forces with Mike in 2004 to make a father and son team, son brother-in-laws Nephew and Grandson make up the rest of the task force. Innovative design and diligent management are hallmarks of the service we provide through our fully qualified team of Chichester and Horsham based Architects and Project Managers. Whatever the scale and size of project we can help. Michael Lee Architects is a small architecture practice that specialises in the design of beautiful contemporary homes.